~ Buddhist master, Kadampa, yogi, and my Spiritual Guide. Author of 22 books giving a detailed, authoritative and clear commentary to Je Tsongkhapa’s works. The Tibetan meaning of ‘Geshe’ sums it up for me:`virtuous friend’. ~ spirits that devour bad dreams and nightmares (originally from Japan). OK, so they’re mythical. But Bakus are bad dream eaters. Nightmares don’t just happen when we’re asleep, do they? And what better way to overcome the bad things, than with Buddha’s heart of compassion and sword of wisdom. a Baku in action Lojong scares the monsters away. Dharma Dreameater A night in the life of a witchy Baku ~ How to transform adverse conditions into the Spiritual Path, or demons into cupcakes. Pleiadians – Aliens from the Pleiades constellation who are in telepathic communication with many human channels. Their ideas are very similar to Buddha’s teachings on love and peace. They talk about co-creation for the highest good too. The Pleiadians want to help humans break free of their bonds, and ascend to higher levels of consciousness. We are all interconnected in a web of loving kindness and peace. Feeling this raises our vibration and helps us to be happy, thus benefitting others. * Quotes for Peace on Earth and Beyond. Love is the creative force of the Universe. Make Peace with Love. * We Are All One Animated Lump of Stardust. Our place in space video. 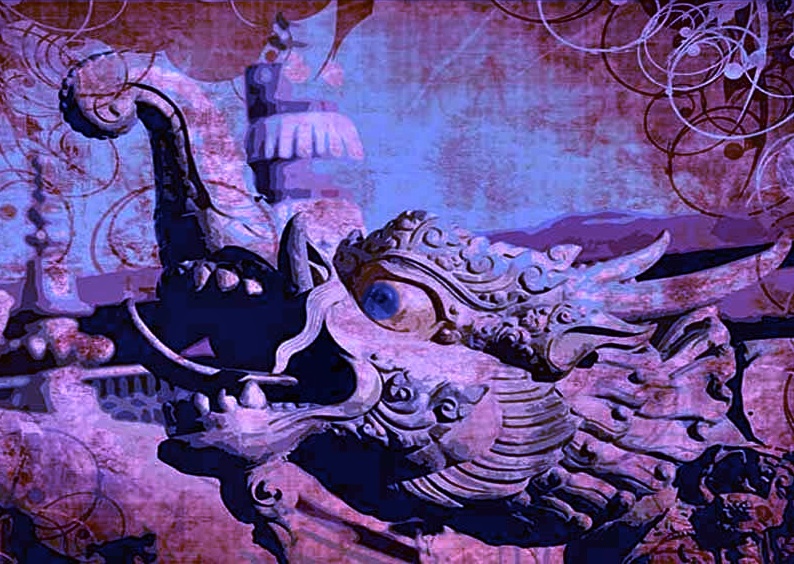 Baku – spirits that devour bad dreams and nightmares (originally from Japan). Co-Creation – putting Universal Laws & Principles into practice. Laws such as: the Law of Attraction, Law of Deliberate Creationand the Law of Allowing, Law of Action, etc. Delusion, or Deluded Minds – a part of our mind that makes it unpeaceful, uncontrolled and unhappy. There are three main delusions: ignorance, which gives rise to desirous attachment, which gives rise to anger. Dharma – Buddha’s teachings, and their subsequent inner realizations. Dharma’ means ‘protection’. By practising Buddha’s teachings we protect ourself from suffering and problems. Dharmakaya – Sanskrit term for the Truth Body of a Buddha. Eight worldly concerns – the objects of the eight worldly concerns are pleasure & pain, loss & gain, praise & blame, and fame & shame. They are called `worldly concerns’ because worldly people are constantly concerned with them, wanting some and trying to avoid others; and they still never bring us the happiness and freedom from pain we seek. Equality of self and others – lojong practice knowing there is no difference between any of us – we all want to be happy and free from suffering. Equanimity – is a balanced mind free from strong attachment & aversion, based on ignorance. Emptiness – is how things exist. Everything lacks inherent existence. This is the ultimate nature of phenomena. Everything comes from the mind, and even that doesn’t exist from it’s own side. It’s all just a mental fabrication, empty of its own existence. Ignorance – Self Grasping ignorance grasps at the world and everything in it, including ourselves, as inherently existent and independent of everything else; when in fact it’s all just a mental fabrication. No more real than last night’s dream. Imprints – each n’every action we perform leaves an imprint on the mental consciousness, and these imprints are karmic potentialities to experience certain effects in the future. Kadampa – a follower of Mahayana Kadam Buddhism who does their best to practice it. Karma – Every time we say, do and think anything, we create a karmic effect.There are many shades, but basically, good actions lead to good results for us, and bad actions cause us to experience bad things. Neutral actions have fairly mediocre effects. Karma is our good fortune or our misfortune. As Bob Marley said “what goes around comes around”. Lojong – Tibetan for `training the mind’. Includes trying to transform adverse conditions into the spiritual path. Or even a bad day into a better one, with a fairly decent motivation. Mandala – the celestial mansion in which a Tantric Deity abides, or the environment or Deities of a Buddha’s Pure Land. Sometimes it is used to refer to the essence of an element, for example `wind mandala’. See Guide to Dakini Land and Essence of Vajrayana.A mandala offering uses a special kit or your fingers to symbolise the entire universe visualized as a Pure Land, with all its inhabitants as pure beings. We offer this ‘pure universe’ we have created up to the Guru deity, then collapse it. That’s the beauty of mandalas – showing the arising a dissolving of phenomena, and how its existence depends upon our perception of it. Mantra – Sanskrit word, literally meaning `mind protection’. Mahayana – The spiritual path to great enlightenment. The Mahayana goal is to attain Buddhahood for the benefit of all sentient beings. Non-Ascertaining Perceivers – A cognizer to which a phenomenon that is its engaged object appears clearly without being ascertained. Path – a spiritual path is conjoined with renunciation, which is a strong wish to escape from samsara. Generally ‘minds’, or what we think, are internal paths that take us someplace; just as external ‘paths’ lead us to a destination. Renunciation – the wish to be released from samsara. Samsara – the cycle of uncontrolled birth, death and rebirth that we’re all stuck in at present. Popularly known as the ‘holographic universe’ because although it seems solid enough, it’s no more real than last night’s dream. Self-cherishing – a mental attitude that considers oneself to be supremely important and precious (often at the expense of others’ welfare). Self-grasping – a conceptual mind that holds everything to be inherently existent. Self-grasping gives rise to all other delusions, such as anger and attachment. It is the root cause of all suffering and dissatisfaction. Sentient Being – any being who possesses a mind that is contaminated by delusions or their imprints. Three Jewels – the three objects of refuge: Buddha, Dharma, and Sangha. They are called `Jewels’ because they are both rare and precious. or just comment on a post for a relevant explanation. 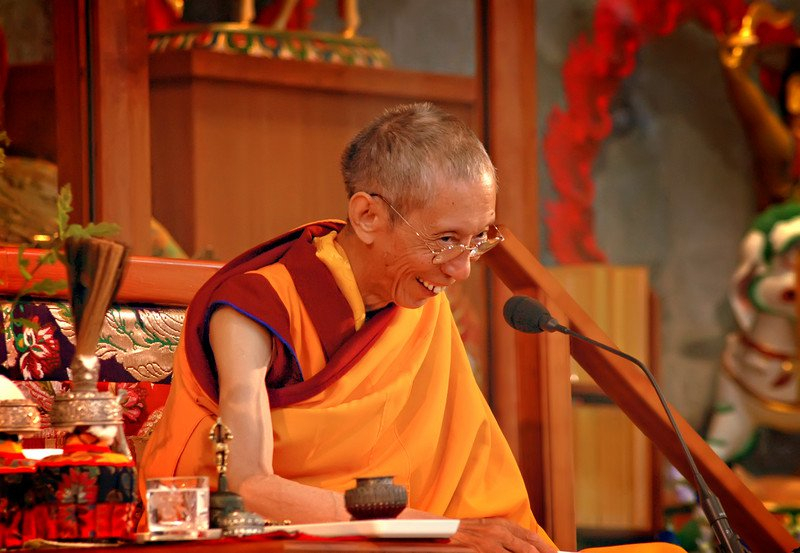 All definitions are taken from Geshe la’s books, teachings or the above link. ‘Prayer of the Stages of the Path‘ and ‘The Three Principal Aspects of the Path‘ Short Prayer and Poem teaching the stages of the path to liberation, by Je Tsongkhapa. The prayer of stages of the path and other NKT favourites can be found on NKT Radio. ‘Advice from Atisha’s Heart‘, classic Kadampa poem in full. * If you find the text too small ~ try pressing Ctrl and + on your keyboard. Enlarge images by clicking on them. * External web links mostly look like this, or are at least underlined. Just click on the word, and it’ll open in a new page without losing the one you’re on. * Scriptural authority is given where possible. If you think something is missing, or incorrect, please comment – I’d be delighted to hear from you. Really. * The ‘Leave a Comment’ link is on the left under the date on all articles. * All apologies for the occasional mishap, migraines play havoc with pressing the right buttons at the right time. You’re welcome to share anything here ~ Buddha’s Sutra teachings are open to all, and I’m just delighted that you liked my ideas enough to use them. ☆ But please link stuff back to this site, so people can see where it came from and can investigate further if they wish. © You're welcome to share anything here ~ Buddha's Sutra teachings are open to all, and I'm just delighted that you liked my ideas enough to use them.